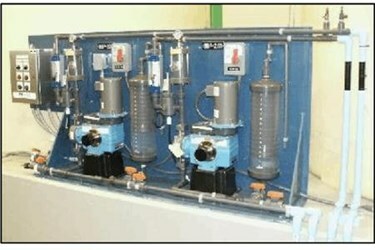 The City of Salem uses a slow sand filtration water treatment process, which uses naturally occurring biological activity to clean drinking water. The water treatment facility treats an average of 30 MGD throughout most of the year, with a peak of 50 MGD in the summer. Sodium hypochlorite is generated on site for disinfection, with fluoride and soda ash added.